We’ve got some new Death Stranding footage, and it is just as confusing as ever. Your task this week is to make sense of the whole thing. When that guy whips off his golden mask in the footage, I thought, for just an instant, that something might become clear. I thought that there might be a moment of recognition where I saw a character who had appeared in some of the previous footage. Or maybe a clone of Norman Reedus. Or literally anything other than a face-shaped void. Then he summoned a Bloodborne boss. 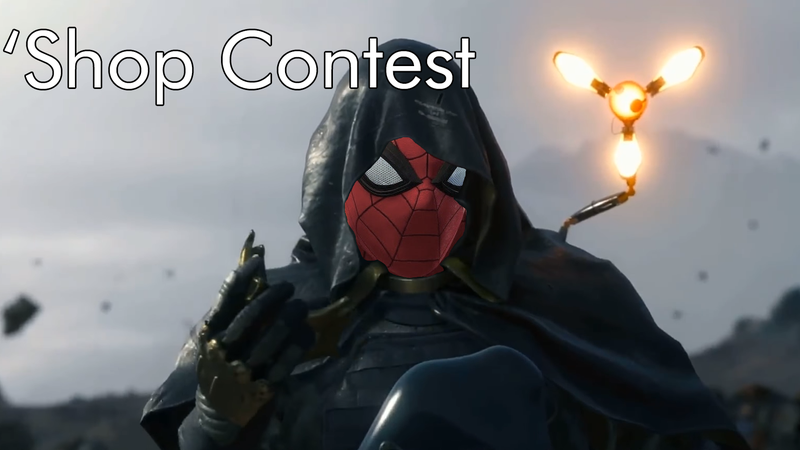 For the ‘Shop Contest this week, I need some answers. I want you to give me a revelation that I can really sink my teeth into. I want to feel like Death Stranding is starting to come together for me. In my image above, I revealed that Spider-Man was the man with the golden mask. Yeah, it is weird, but also you can just be like “oh, ok, that’s Spider-Man” and feel safe knowing that there’s no confusing twists. I mean, it’s just Spider-Man.